Or as low as $308.17 per month over 12 months. Apply Now. The Definitive Technology IWSub Reference 13″x 13″ In-Wall Subwoofer is a completely self-enclosed in wall subwoofer used for distribution of music within the entire home. It can also be used within a “stealth” home theater installation. 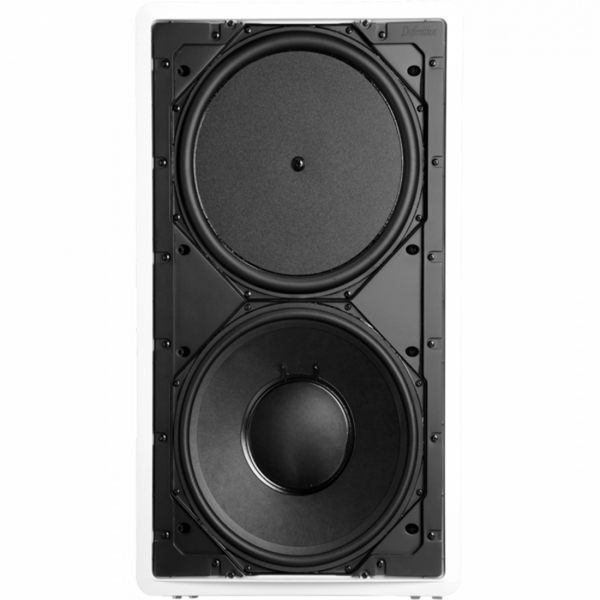 It’s a deep bass powerhouse that will disappear in your room. It also has a non-resonant sealed medite (a dense wood product) enclosure and a paintable bezel and grille. The inside of this Definitive Technology Sub Reference 13″x 13″ In-Wall Subwoofer is the technical brainpower derived from Definitive’s award winning SuperCube free-standing subwoofers. It includes a special shallow-depth, long excursion active 13 inch driver pressure-coupled to a 13 inch Ultra Low Bass radiator for deep, tight, high impact bass.